Posted on March 8, 2013 by thefatnurse Tagged carbohydratesCatsdiabetesDietobesity	CommentsNo Comments on Cat Obesity On The Rise…Similar Pathway To Humans? Cat Obesity On The Rise…Similar Pathway To Humans? So what does the news report recommend for these overweight pets? Talk to your vet, start an exercise program and choose…A LOW FAT DIET PLAN…WUT…just like HUMANS…The focus of the news story was on an overweight cat being put on a michael phelps exercise regiment and low fat diet plan. The results? SUCCESS, according to the owner, because the cat lost 1 lb… in 6 months. The parallels to the frustration of human obesity are almost an exact match. Now TheFatNurse is far from an expert on cat physiology…but some vets are suggesting that cats drop the carbohydrates. Feeding a high carbohydrate diet to a diabetic cat is analogous to pouring gasoline on a fire and wondering why you can’t put the fire out. The so-called “light” diets that are on the market have targeted the fat content as the nutrient to be decreased but, in doing so, the pet food manufacturers have increased the grain fraction (because grains are always cheaper than meat), leading to a higher level of carbohydrates. cats tend to overeat when free-fed high carb dry food. The first reason is because the pet food manufacturers do not play fair when manufacturing dry food. They coat the kibble with extremely enticing animal digests which makes this inferior source of food very palatable to the target animal. …Carbohydrates do not seem to send the “I’m full and can now stop eating” signal to a cat’s brain like protein and fat do. The third reason why some cats overeat is boredom. Wow sounds like they go into the food palatability and hormonal obesity regulation theories of obesity there! This post is merely food for thought because using data from animals for human evidence (even tho early scientist did this by declaring dietary cholesterol leads to heart attacks by feeding cholesterol (an animal product) to rabbits (Herbivores) who then developed heart disease) is not always applicable. Especially so in this case since cats are oligate carnivores while humans are omnivores. Alright enough about cats, TheFatNurse just found it interesting that similar controversies about carbohydrates and chronic disease exists for humans as well as cats. Posted on March 7, 2013 by thefatnurse Tagged Dietheadacheslow carbmigraines	CommentsNo Comments on Can More Fat and Less Carbohydrate Help with Migraines? Can More Fat and Less Carbohydrate Help with Migraines? 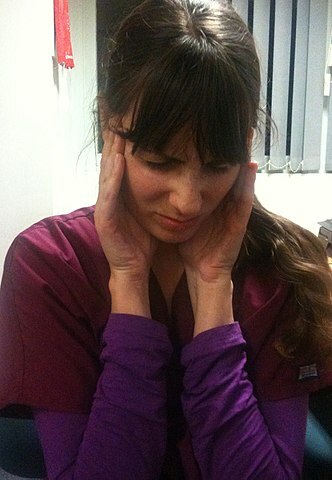 TheFatNurse was in the clinic today when the topic of migraines came up. This is a pretty common condition that is seen in the outpatient clinic and can be treated with abortive and preventive drug regimes…but is there a dietary approach to this? Well TheFatNurse came upon this study released last month that may be of interest. Now keep in mind, that it’s a prospective observational study so nothing truly conclusive can be drawn from it, but if enough interest gets generated we might be able to see some Randomized controlled clinical trials perhaps. So what the researchers did was compare the effects of a ketogenic diet (KD; high fat low carb) to a standard calorie restricted one (SD) for 1 month with people who have migraines. So what happened? Headache frequency and drug consumption was reduced during the observation period, but only in KD group. KD ameliorates headache and reduces drug consumption in migraineurs, while the SD is fully ineffective on migraine in a short term observation. Our findings support the role of KDs in migraine treatment, maybe modulated by KBs inhibitory effects on neural inflammation and cortical spreading depression, and enhancing brain mitochondrial metabolism. Again, it’s hard to draw conclusions from this design method but it certainly is interesting. TheFatNurse is Alive and Well despite the lack of updates. Had to take on finals and TheFatNurse is happy to report they never stood a chance! In the meantime, lots of changes occurred since the last update in regards to the media and some new things TheFatNurse learned on carpal tunnel and diabetics. Doctor Oz…leading the way!? If you’ve followed this blog then you’ll know TheFatNurse is no fan of Dr. Oz who often regurgitates the existing paradigm and has condemned fat as a evil. So you can imagine TheFatNurse’s surprise when Dr. Oz had not ONE but TWO shows that challenged the existing paradigm on diet! Last week Dr. Oz had Dr. Stephen Sinatra & Dr. Jonny Bowden talking about how the current view on cholesterol is all wrong, that there is nothing generally wrong with eating saturated fat, and that cholesterol in general is good for us. Let your Guests Explain How it Works! For reals? This was big news earlier in the year (February 2012) when the FDA announced they were adding warnings to statins for this very thing. It’s right here on the FDA website if you’re curious. TheFatNurse is just a little shocked Dr. Oz didn’t know that. People being treated with statins may have an increased risk of raised blood sugar levels and the development of Type 2 diabetes. The second Oz show that got TheFatNurse all excited occurred two weeks ago and challenged the paradigm of healthy whole wheat grain. This episode featured Dr. William Davis, a cardiologist, and the author behind Wheat Belly. Again, nothing new if you’ve been following this blog but to see the idea that “healthy whole grain wheat” as unhealthy being discussed so openly on Dr. Oz is just amazing. 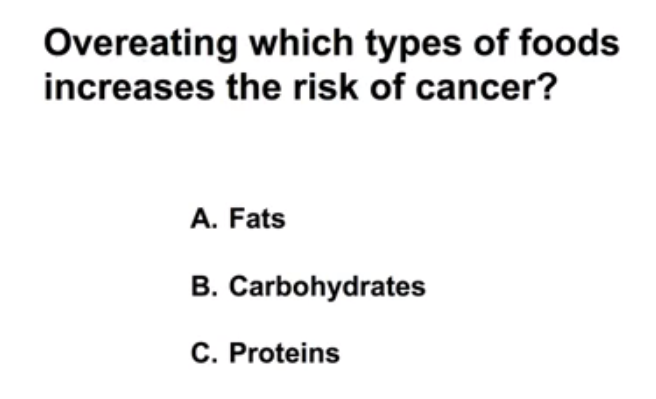 Another media boost challenging the dominant paradigm on fat came from CBN news which did a segment on how a ketogenic diet (super low carb & high fat) could help with cancer by “starving” the center cells of glucose. Although it wasn’t easy, Hatfield stopped eating carbohydrates, which turn into glucose inside your body. 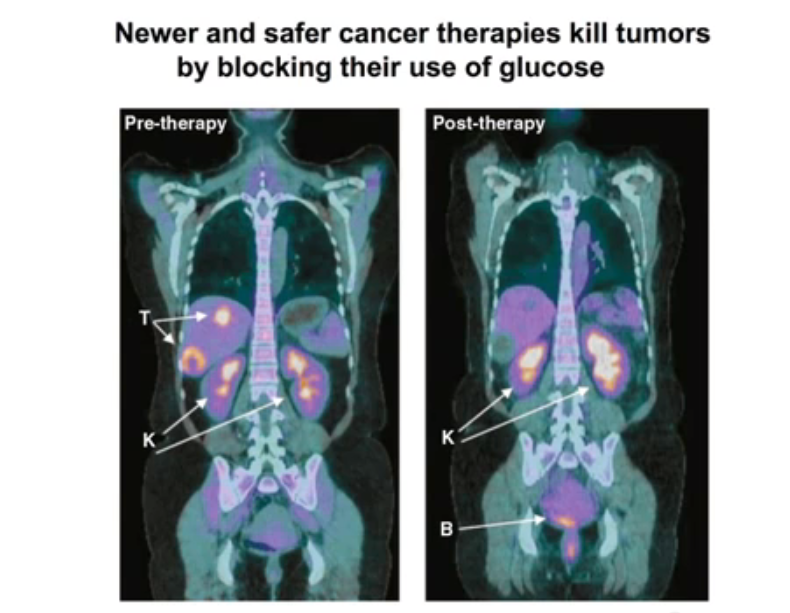 Cancer cells love glucose and need it so badly, that if you stop giving it to them, they die. TheFatNurse hasn’t looked into the medical literature on the subject for clinical trials and what not but this is certainly something worth following up on in the future. metabolic syndrome was found to be three times more common in patients with CTS and CTS was more severe in patients with metabolic syndrome when compared with those without metabolic syndrome. To keep it short, what happens is when glucose is elevated and around proteins such as collagen, elastin and fascia in tendons, it goes through something called glycosylation. This basically means that the glucose and proteins combine together. This impairs the function of things such as collagen, elastin and fascia. In nerves, glucose is converted to sorbitol which attracts water. Nerves also have collagen and elastin components. 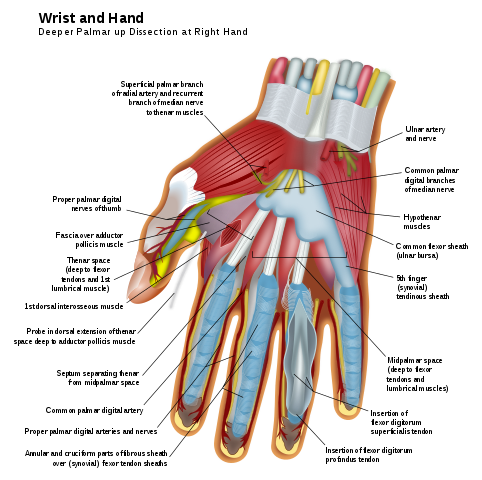 So as you can see in the picture below, when you have all this glycosylation occurring on the median nerve and the surrounding tendons in an enclosed space like the carpal tunnel it’s bad news. TL;DR: Looks like the media may be more friendly and picking up on information that goes against the traditional paradigm than before. Who knows what direction their influence is going to direct things in the future? Also carpal tunnel and hyperglycemia may be closely related. Posted on November 20, 2012 by thefatnurse Tagged CanadacholesteroldiabetesDietJuiceShaq	CommentsNo Comments on New Videos from Dr. Dayspring and…Shaq? Canadian Diabetes Association approves of Juice? New Videos from Dr. Dayspring and…Shaq? Canadian Diabetes Association approves of Juice? If you have not seen Dr. Dayspring’s new video this week, TheFatNurse highly recommends you take a look below. TheFatNurse has mentioned Dr. Dayspring in the past so his name should be familiar. But if this is your first time hearing his name…he is a diplomate of the American Board of Internal Medicine and the American Board of Clinical Lipidology as well as a fellow of the National Lipid Association while being a professor at the New Jersey School of Medicine and the director of cardiovascular education at the Foundation for Health Improvement and Technology. The video offers a general overview of cholesterol and heart disease – stuff you will already be familiar with if you have read TheFatNurse’s For All Ages comic series on cholesterol or any of Dayspring’s previous works on Lecturepad. However, the video offers a good layman’s explanation of cholesterol and heart disease. What interested TheFatNurse the most is Dayspring’s point about how hard it is to change medical dogma. After all, it was once considered heresy to wash your hands in the medical community. However, sanitation practices eventually changed…are we currently in the transition of another change with regards to the public’s view of cholesterol and fat? TheFatNurse hopes so! In other news, TheFatNurse caught a video of Shaq on CNN talking about health. Shaq gives a small sample of what he eats and says he cuts down on the bread, eats an omelette in the morning, salads for lunch and steak or fish for dinner while avoiding soda and candy to keep his weight down (abdominal obesity) in order to reduce the risk for diabetes. Nice job Shaq! TheFatNurse has talked in the past about how focusing on weight shouldn’t be the only factor to be evaluated in diabetes prevention, but it is certainly a good initial step for people to target. Sayyyy whhhat? 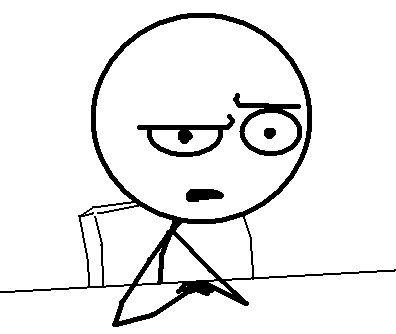 So…you’re telling TheFatNurse…that you can drink juice to prevent heart disease…because somehow…sugar’s role in heart disease…doesn’t matter when it come to juices? You can find an excellent rebuttal to this whole thing by Tony NickonChuk, a certified diabetes educator who was, “so horrified in fact that he penned a letter to the Editor-in-Chief of the publication along with the President and CEO of the Canadian Diabetes Association.” Check out his letter here. Posted on November 11, 2012 by thefatnurse Tagged AsianscarbohydratesChinadiabetesDietFatlow carbricethin	Comments1 Comment on Diabetes in Asians and Asian Americans. Also New Meta! Diabetes in Asians and Asian Americans. Also New Meta! 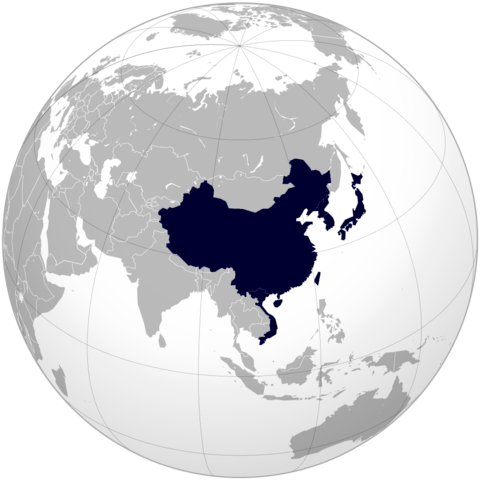 Because Asian descents develop diabetes at a body weight considered “normal” by mainstream western standard, some have concluded that obesity is not an important cause for diabetes in Asian descents. Prevalence of Type 2 diabetes, a disease linked to inactivity and excess calories, has more than tripled in China over the past decade, fueling 20 percent-a-year growth in drug sales and straining health services. It’s also stoking need for newer, costlier medications from Merck & Co. (MRK), Novo Nordisk A/S (NOVOB) and Sanofi that help avoid blood-sugar spikes and complications such as heart attack and stroke. An intensive diet and exercise program resulting in weight loss does not reduce cardiovascular events such as heart attack and stroke in people with longstanding type 2 diabetes, according to a study supported by the National Institutes of Health. Few, if any, studies of this size and duration have had comparable success in achieving and maintaining weight loss. Participants in the intervention group lost an average of more than 8 percent of their initial body weight after one year of intervention. They maintained an average weight loss of nearly 5 percent at four years, an amount of weight loss that experts recommend to improve health. Participants in the diabetes support and education group lost about 1 percent of their initial weight after one and four years. the calorie goals are 1200-1500 kcal/day for individuals weighing 250 lbs (114 kg) or less at baseline and 1500-1800 kcal/day for individuals who weigh more than 250 lbs. These goals can be reduced to 1000-1200 kcal/day and 1200-1500 kcal/day, respectively, if participants do not lose weight satisfactorily. These calorie levels should promote a weight loss of approximately one to two lbs/week. The composition of the diet is structured to enhance glycemic control and to minimize cardiovascular risk factors. The recommended diet is based on guidelines of the ADA and National Cholesterol Education program and includes a maximum of 30% of total calories from total fat, a maximum of 10% of total calories from saturated fat, and a minimum of 15% of total calories from protein. Interesting stuff…TheFatNurse will definitely have to wait until the final report is released to go over the details! TheFatNurse isn’t trying to say that exercise and weight loss isn’t important in diabetics because there are other benefits such as reducing sleep apnea, increased energy and etc. TheFatNurse is merely trying to suggest that weight loss is not everything! A new meta analysis form the American Journal of Epidemiology on clinical controlled trials recently showed something similar. In comparing low fat to low carb diets, they found no statistical significance between the two on weight loss or abdominal obesity; subjects lost weight on either diet. However, there was statistical differences between the two on reducing Cholesterol, reducing LDL cholesterol, increasing HDL cholesterol and reducing triglycerides; this was the low carb. However, its important to note the low fat diet yielded good changes to these markers as well, the low carb diet just did it better. Summary;TL;DR: TheFatNurse hopes this gives pause to the use of Asians and Asian Americans in the debate of high amounts of carbs being healthy. It’s an assumption that asians and asian americans have a high carbohydrate diet but even if we assume that is true, we can see that whatever diet they are eating is not exactly yielding good health due to the staggering amount of diabetes they are having in North America and Asia. This increase of diabetes is occurring even at lower levels of weight which also suggests there might be more to the story than the usual “obesity is a risk factor for diabetes.” Even when weight loss is the same between different diets, some studies have shown low carbohydrate diets yielding better results on metabolic markers vs low fat diets. Ultimately, the problems of diabetes and diet in Asian/Asian American populations is a lot more complex than just the amounts of carbs eaten. With the introduction of western foods, marketing, and increased economic gain in China, there are ultimately other psychologic, social and financial factors that make the issue more complex…but well worth future study. Posted on October 24, 2012 by thefatnurse Tagged Alzheimer'sBlood glucosecarbohydratesdiabetesDietFatinsulin resistanceType 3 Diabetes	Comments1 Comment on Type 3 Diabetes, Bacon shortage and Updates! Type 3 Diabetes, Bacon shortage and Updates! TheFatNurse is still alive and well! Yes It’s been awhile since TheFatNurse last posted but for good reason! TheFatNurse had a string of events involving midterms, classes, clinics and even a mini lecture TheFatNurse gave on cholesterol and heart disease at TheFatNurse’s uni! But now that is all over and done with so TheFatNurse is back and ready to step into the frying pan. 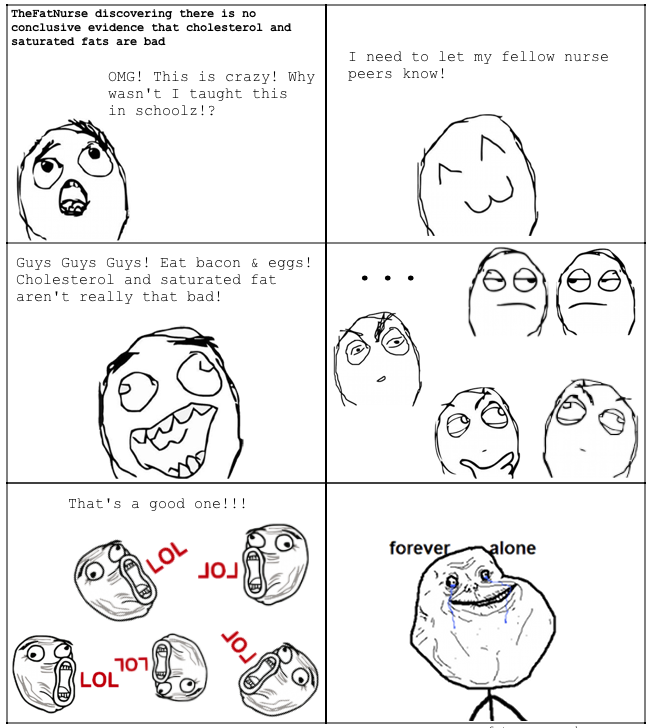 Speaking of frying pans…a global bacon shortage was predicted during the two months TheFatNurse was out…truly the end of times. In the last post TheFatNurse briefly covered glucose and brain atrophy, well another related news story occurred in USATODAY about carbohydrate consumption and alzheimers! Older people who load up their plates with carbohydrates have nearly four times the risk of developing mild cognitive impairment, a study out Tuesday finds. Sugars also played a role in the development of MCI, often a precursor to Alzheimer’s disease, according to the report in the Journal of Alzheimer’s Disease. Eating more proteins and fats offer some protection from MCI. Whoa…what! TheFatNurse isn’t shocked by the news of carbohydrates being linked to MCI (Mild cognitive impairment) and early alzheimers…its the fact that this story was published in a major news media (okay USATODAY isn’t necessarily quality….but it is popular) for people to see! Not only that…the story actually supports that eating fat and protein is good? Not only are they taking on that controversy….but they also take on the healthy complex carbs and fruits paradigm as well! Among the foods regarded as complex carbohydrates: rice, pasta, bread and cereals. The digestive system turns them into sugars. Fruits, vegetables and milk products are simple carbs. WHAT THE HELL IS HAPPENING!!! To be fair, the study seems to be a prospective descriptive study from how the article describes it, so this really doesn’t tell us anything solid but can be used for generating new hypotheses. This subject interested TheFatNurse enough to explore this new paradigm of glucose and the pathophysiology of Alzheimer’s – a change which is classifying it as Type 3 diabetes. A good recent review on the subject can be found in this 2012 Curr Alzheimer Research review. Growing evidence supports the concept that AD fundamentally represents a metabolic disease in which brain glucose utilization and energy production are impaired. Metabolic abnormalities have been linked to brain insulin and insulin-like growth factor (IGF) resistance with disruption of signaling pathways that regulate neuronal survival, energy production, gene expression, and plasticity. This idea has been around for awhile but has recently been picking up more steam as new studies are showing more evidence of insulin resistance and alzheimer’s. Earlier this month, NewScientist had diet and alzheimer’s as it’s cover story. The rigid employment of standardized criteria for diagnosing AD, in fact, restricts our ability to fully comprehend the underlying disease process. Subsequently, AD was shown to be associated with brain insulin resistance and insulin deficiency, with significant abnormalities in the expression of genes and activation of kinases that are regulated by insulin and insulin-like growth factor (IGF) signaling. Very interesting stuff and honestly pretty frightening if the increased rates of diabetes in children and adults will turn into increased rates of Alzheimers in the next few decades.